Get away for Labor Day and enjoy the last few days of warm summer weather. Take a trip to the beach, plan a quick family reunion, or a romantic getaway. Our list of top Labor Day weekend getaways includes popular destinations where you can try many different activities as well as more secluded spots ideal for couples looking for romance. If you are wondering where to go for Labor Day weekend near you, we have already written about great trip ideas from New York City, Washington D.C., Boston, LA, San Francisco, Seattle, Dallas and many other cities. If you are traveling with kids, head to Orlando where you can see unique animals at SeaWorld and Discovery Cove. Couples can sample a variety of flavors at Miami's excellent restaurants, relax on the beaches and admire art at the Perez Art Museum. 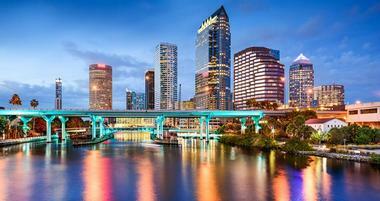 Tampa is a fun place to visit if you are looking for a diverse selection of activities and restaurants, home to the Tampa Museum of Art, Busch Gardens Tampa Bay and MOSI. Other great Florida destinations include Tallahassee, Lakeland, Fort Walton Beach, Cape Canaveral, Cape Coral, Panama City Beach and Naples. 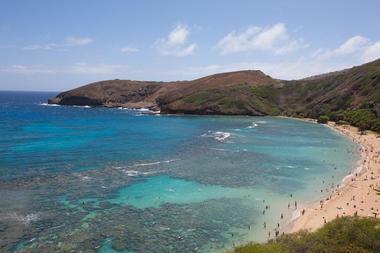 Not only for honeymoons, Hawaii is a dream vacation destination year-round. Spend a few days in Honolulu relaxing on Waikiki beach, shopping and taking in famous sights such as Pearl Harbor, Iolani Palace, Manoa Falls and Diamond Head. Fly to romantic Maui where you can watch the sunrise from the top of Haleakala National Park, sunbathe on a black-sand beach in Hana and play scenic championship golf in Kapalua. More quiet and secluded, the Big Island of Hawaii is a favorite with families who are looking to spend their Labor Day on a sandy beach with a view. Plan a trip to the Equinox in Manchester Village, Vermont, where you can enjoy great food, historic ambiance and a choice of activities. Whether you want to spend your weekend shopping, relaxing at the spa, playing golf or fly fishing, this resort has something for everyone. The main building has several historic guest rooms and suites. You can also stay in the adjacent Charles Orvis Inn which offers suites with a Jacuzzi bath and fireplace. Esperanza Resort offers couples and families several luxury options. Choose from spacious suites, Casitas and Cabo Villas, decorated in an elegant style and offering beautiful ocean views. Honeymoon suites feature sophisticated decor and rich custom textiles, along with spectacular views of the Sea of Cortez. Many of the Esperanza Resort Casitas offer 180-degree ocean views, infinity edge hot tubs on the terrace and interiors that transform into dramatic indoor/outdoor living spaces. Luxury villas are located in the exclusive Punta Ballena community, offering hand-crafted furnishing, original art, lush garden courtyards and sweeping ocean vistas. While on your honeymoon at Esperanza Resort in Mexico, be sure to treat yourself to a couples massage at the resort spa, and yoga. There is a beautiful yoga studio where you can enjoy complimentary daily classes. Additionally, all guest rooms feature complimentary in-room Yoga mats and fitness DVDs. If you want personal attention, book a private class with on of the resort's fitness instructors. Esperanza Resort also offers a fitness center and a relaxing spa with 14 treatment rooms, a large soaking pool and a private sunbathing area. 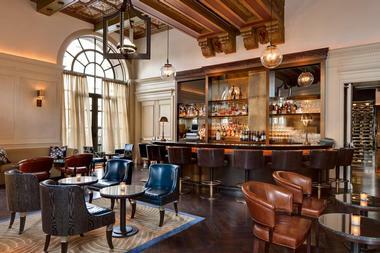 » The St. Regis Washington, D.C. If you are planning a romantic getaway to the nation's capital, take a look at the selection of suites at The St. Regis Washington, D.C. The hotel has 23 luxury suites featuring the signature St. Regis Butler Service, letting you enjoy five star service. The hotel offers the romantic Alain Ducasse's Adour restaurant where you can celebrate your new union in style. Honeymoon suites feature antiques and custom-designed furnishings. Take advantage of complimentary shoeshine, morning coffee or tea, and other amenities at The St. Regis Washington, D.C.
Find great trip ideas from New York City, Washington D.C., Minneapolis - St. Paul, Boston, Los Angeles, San Francisco, Seattle, Dallas and many other cities. Southern comfort meets Victorian charm at the Devereaux Shields House to Natchez, Mississippi. The bed and breakfast is made up of two properties. The Main House is a Victorian mansion listed on the National Register of Historic places, while Aunt Clara’s Cottage is a charming home with four spacious guest rooms and a breakfast/meeting room. Both homes are pet friendly and feature lovely landscaped gardens and covered porches. Amenities include a full Southern breakfast each morning and wine and cheese receptions in the afternoon. The Deveraux Shields House also offers special getaway packages to ensure guests get the most out of their trip to Natchez. 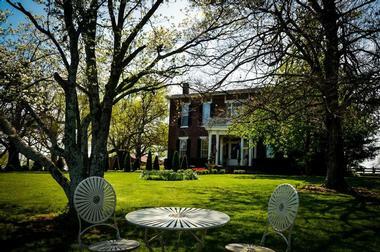 Whether staying in a room in the 19th century house, in the restored barn or enjoying the unique accommodations in one of the Inn’s cottages, a visit to Simpson House Inn provides a world-class experience. Located in a mature English Garden in Santa Barbara, this 15 room boutique hotel is known for luxury, comfort and excellent service. 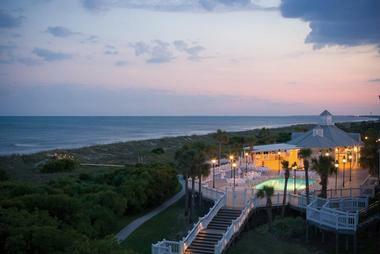 Wild Dunes Resort is an getaway in South Carolina offering a range of activities, accommodations and restaurants. Guests enjoy 2.5 miles of white-sand beach, two championship golf courses, tennis and oceanfront pools. The resort is one of the best family weekend getaways in the area. Located on the northern end of the Isle of Palms, the property is 20 minutes from historic Charleston. Hotel guests receive priority tee times at the Links Course and the Harbor Course, complimentary access to the Family Recreation Program, complimentary access to the Fitness Center, transportation within the resort, and one hour of tennis court time per day. The tennis center offer 17 Har-Tru courts, including a stadium court and five courts lit for night play. If you enjoy walking, jogging and rollerblading, there are miles of trails available to do just that. Both golf courses were designed by Tom Fazio and offer scenic views of the water. The Island Day Spa & Salon is a great place to relax your sore muscles after an active day. 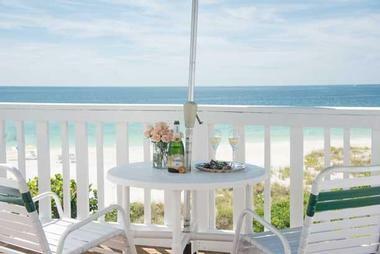 Travelers can stay at the 93-room Boardwalk Inn or in one of the 365 villas and homes. Guest rooms at the inn are luxurious and AAA Four Diamond-rated. Enjoy high speed internet access, in-room dining and a tropical pool complex. Homes and Villas offer the flexibility of preparing your own meals and the washer/dryer convenience. Villas have 1-4 bedrooms, while the privately-owned homes offer 3-6 bedrooms. The Sea Island Grill and Bar serves Lowcountry seafood, steaks and souffles. Edgar's Italian Restaurant serves pasta, Italian-inspired seafood dishes, veal marsala, chicken parmesan, as well as sandwiches. Edgar's is popular with families because of its relaxed atmosphere. Other dining options include Dunes Deli & Pizzeria, Duney's, and in-room dining. More ideas: 20 Best Things To Do in Charleston and 15 Best Family Resorts in South Carolina. Situated in the heart of Florida's Gold Coast, Boca Raton Resort & Club offers a great selection of things to do. There is a private beach, two championship golf courses, a large health spa, six pools, 30 tennis courts and a 32-slip marina. The property is set on over 350 acres in south Palm Beach County, enjoying year-round tropical climate. The original structure was built in 1926. There are a total of 1,041 guest rooms, suites and villas. The Cloistes houses 359 guest rooms as well as elegant public areas with antiques and fountains. Other accommodation options include waterfront rooms at the Yacht Club and its exclusive Commodore Club; guest rooms and suites in the contemporary 27-story high-rise tower; rooms and suites in the Boca Beach Club; and Golf Villas, some with kitchens, ideal for families who want to prepare some of their own meals on their trip. Golfers can play on two championship 18-hole golf courses and sign up for clinics and lessons at the Dave Pelz Short Game School and the Golf Academy. The clubhouse offers equipment rental and casual dining. The resort has 30 tennis courts, 12 lighted for night play. You can choose from a selection of clinics and lessons, or ask the tennis concierge to arrange a match. When you find some time to relax, visit Spa Palazzo, lounge by the pool or sunbathe on the beach. Browse more spas. If you are looking for Labor Day weekend getaways in Florida, this is a great place to visit. You may also like: 25 Best Things to Do in St. Augustine, Florida. 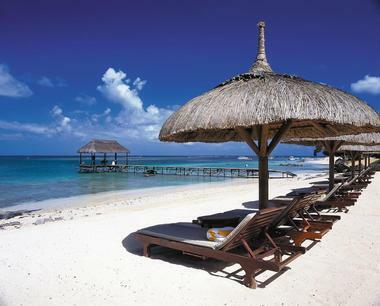 The Oberoi, Mauritius is an oceanfront hotel situated along Turtle Bay on the northwest coast of the island. The hotel has tennis courts, a gymnasium, as well as a library of DVDs and books. After a hard day by the pool try one of the relaxing body treatments at the full service wellness center. Watersports include water-skiing, windsurfing, kayaking, and snorkeling. The hotel staff can also arrange deep-sea diving expeditions, parasailing, and catamaran excursions. Every room on the property features a four-poster bed and a sunken bath, perfect for a relaxing soak on vacation. The Villas each have private lush gardens and a dining gazebo overlooking a private swimming pool with views of the sea. If you are looking for an island honeymoon destination, this could be the place for you. The restaurant serves European, Oriental, and Creole dishes. Guests can choose to dine outside under the stars or inside under the palm-thatched roof. The Bar, located on the beach-front, was built in an historic ruin which has been carefully restored and now offers guests a diverse selection of wines and cigars. 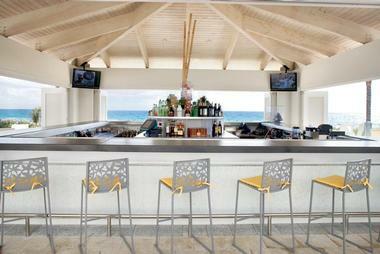 For light snacks, the Lagoon Pool restaurant serves salads, pastas, and pizzas during the day. 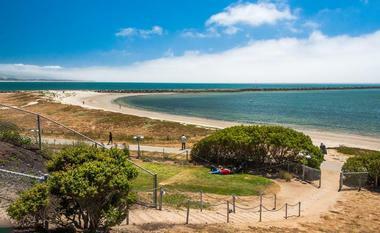 More ideas: 22 Best California Weekend Getaways. 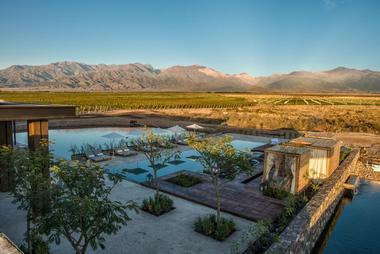 The Vines Resort and Spa is located in Vista Flores, Mendoza City in Argentina. This is the wine country vacation destination of the Andes. Vast and pristine, it is much like what Napa Valley in California was 30-40 years back. The hotel offers 180 degree views of the Andes mountain range and the vineyards all around. This is the perfect retreat for wine lovers and those who want to spend time in wide open spaces in a stunning natural setting. The resort offers beautiful sunsets and many outdoor activities. There are 22 elegant villas with one and two bedrooms, personal wine storage, fireplaces, and spacious private decks that overlook the Andes and the lagoon. Luxury villas have spa-like bathrooms, fine art, flat-screen televisions, Wi-Fi and iPod docking stations. Located on Anna Maria Island in Florida, the Harrington House Bed & Breakfast has three different locations available to guests on their property. Seven rooms and a cottage are located in the 3-level main house. These rooms face either the Gulf of Mexico or the prolific gardens surrounding the inn. Built in 1851, Maple Hill Manor is a preserved antebellum mansion that sits on 15 acres of beautiful Kentucky countryside that includes wildlife and woodland preserves and a working alpaca and llama farm. Rooms at the the 7000 square-foot mansion are decorated with period details and antique furnishings and come with amenities such as luxury linens and spa products, plush robes, and satellite television. Guests can enjoy a full country breakfast before heading out to see the nearby sights, including thoroughbred horse farms, Civil War museums and battlefields, state parks, and the Kentucky Wine and Bourbon Trails. 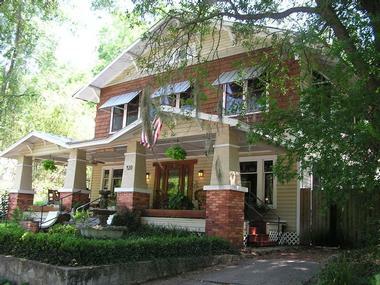 Grady House Bed and Breakfast in Florida gives guests the choice of five rooms or one cottage for their stay in High Springs. Located just a short distance from the springs that give the town its name, the inn is perfectly situated for visitors looking to enjoy the myriad water sports in the area. 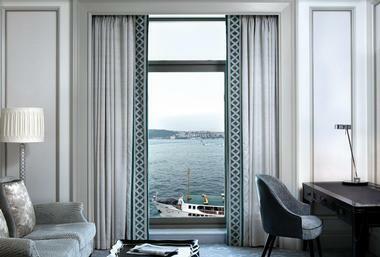 Shangri-La Bosphorus Istanbul is a brand new luxury getaway set on the European side of the Bosphorus Strait between the Dolmabahce Palace and Naval Museum. The property offers spectacular views of Istanbul's domes and minarets. The design is inspired by the glamorous Dolmabahce Palace with glittering chandeliers, cool marble and a blend of European, Asian and Turkish furnishings. The three-story atrium has a grand staircase which connects the lobby and the elegant ballrooms and other venues. The atrium is decorated with a huge Bohemian chandelier and a stunning silk painting called The Garden of Peach Blossoms. You will find more than 1,000 pieces of European and Asian art throughout the property.